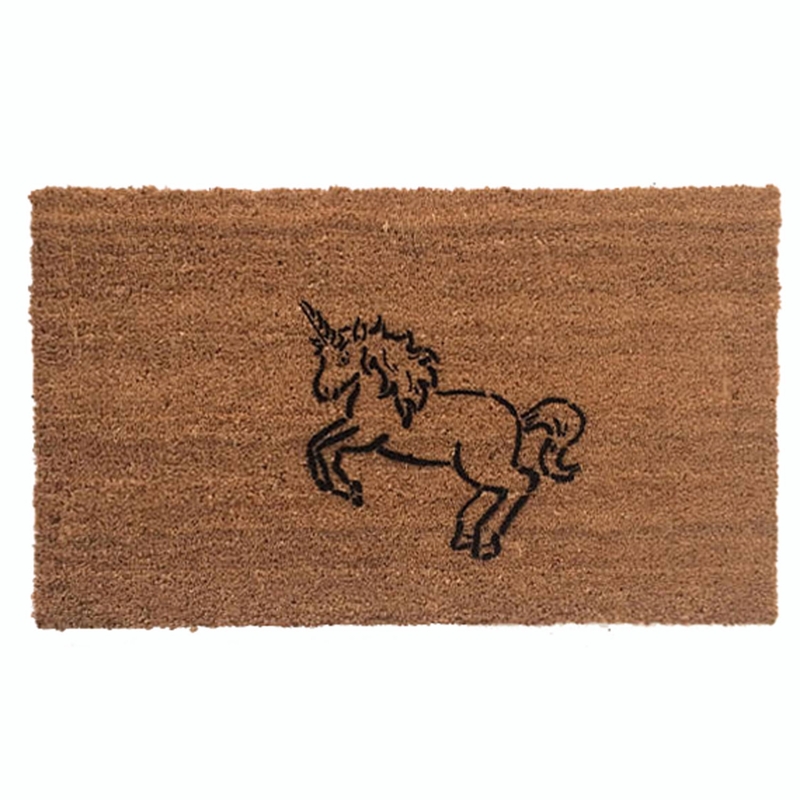 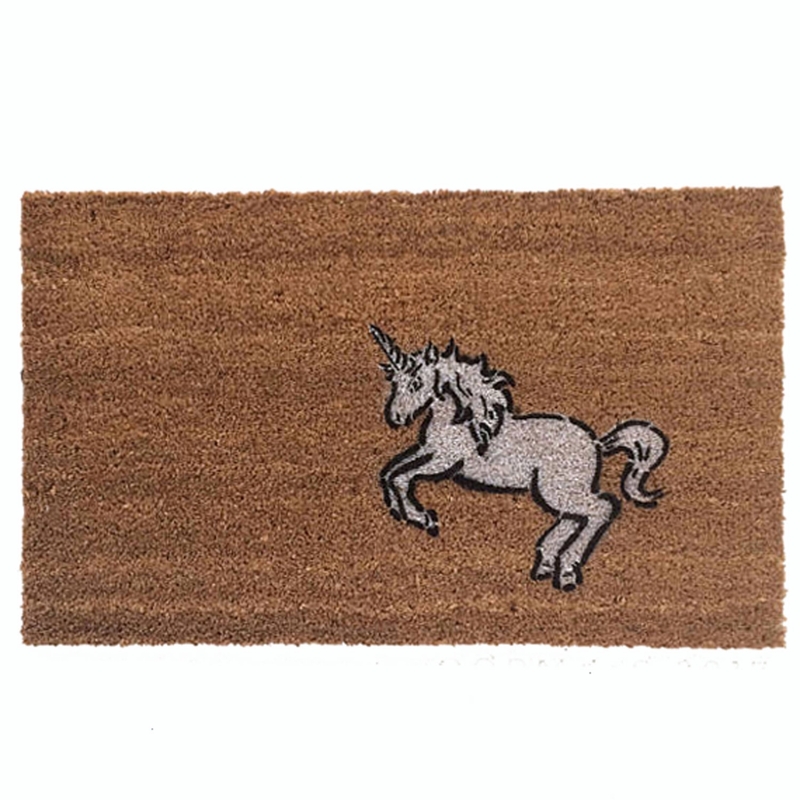 Unicorn Fairy Tale doormat. 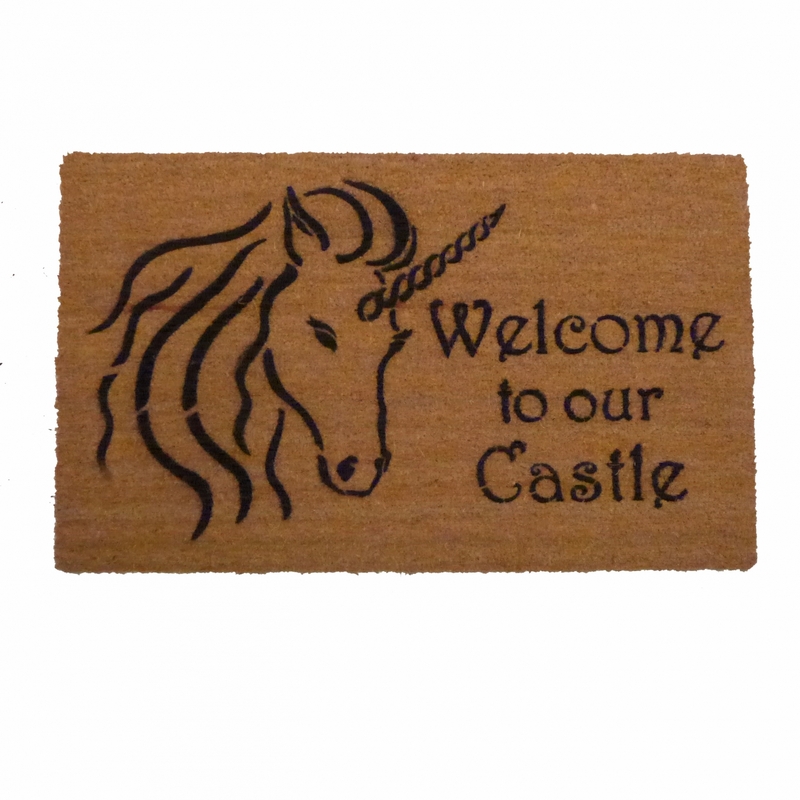 Start the journey into your home with this sweet mat. 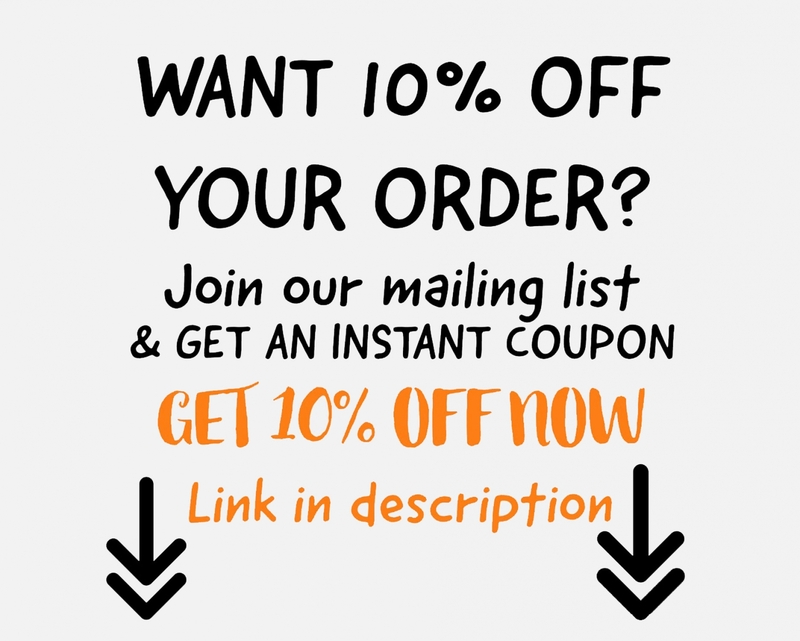 Choose either black linework alone or with a white body.